*Be sure to note our change of venue to Towson University Center for the Arts! 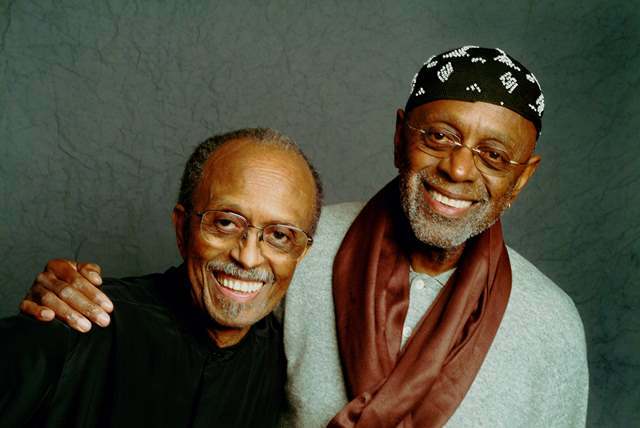 The Heath Brothers features Jimmy Heath on tenor saxophone, Tootie Heath on drums, Jeb Patton on piano, and David Wong on bass. In a family band made up of legends, saxophonist Jimmy and drummer Albert “Tootie” Heath keep tradition alive and pay homage to their late brother, bassist Percy. Their message is brotherly love, spelled out in their innovative cross-genre playing, and brought to life by a sophisticated and swinging quartet. For more information, please visit www.jimmyheath.com. One of Baltimore's premiere jazz concert series for over two decades, the Baltimore Chamber Jazz Society programs some of the finest artists in jazz today. This season, all concerts in the Five at 5 series take place at Towson University Center for the Arts in Harold J. Kaplan Concert Hall. For more information, please call the Towson University Box Office at 410.704.ARTS or visit www.baltimorechamberjazz.org.